"...a man wearing a white robe over a red suit shambled up to the altar from the crowd, reached Bishop Cruz and struck the 63-year-old in the face, knocking him backwards until he fell on the altar...several Essex County's Sheriff's police officers [who were present] ran onto the altar and handcuffed the man. One officer at the scene who saw Cruz after he was struck commented to another officer that several of the bishop's teeth had been loosened in the attack." The incident is documented here at TAP into Newark, a local news outlet who actually had reporters present at the attack. "Inside the cathedral immediately after the attack, the shock of the assault stunned the crowd. Many in the pews ducked when Cruz was first struck, not knowing what further to expect from the assailant. Others among the approximately 75 people assembled stood and screamed." I understand not knowing whether the assailant had a gun. But the statement that many of the people "stood and screamed" seemed indicative of the weakness of contemporary Catholicism in the face of aggressive anti-Catholic violence. Gray-haired parishioners standing and screaming helplessly as the successor of the Apostles is pummeled. The modern Church wringing their hands helplessly as radical Islam continues its anti-western jihad unabated. The Christian west everywhere standing and doing nothing as civilization is dismantled. It is a very apt and powerful symbol. 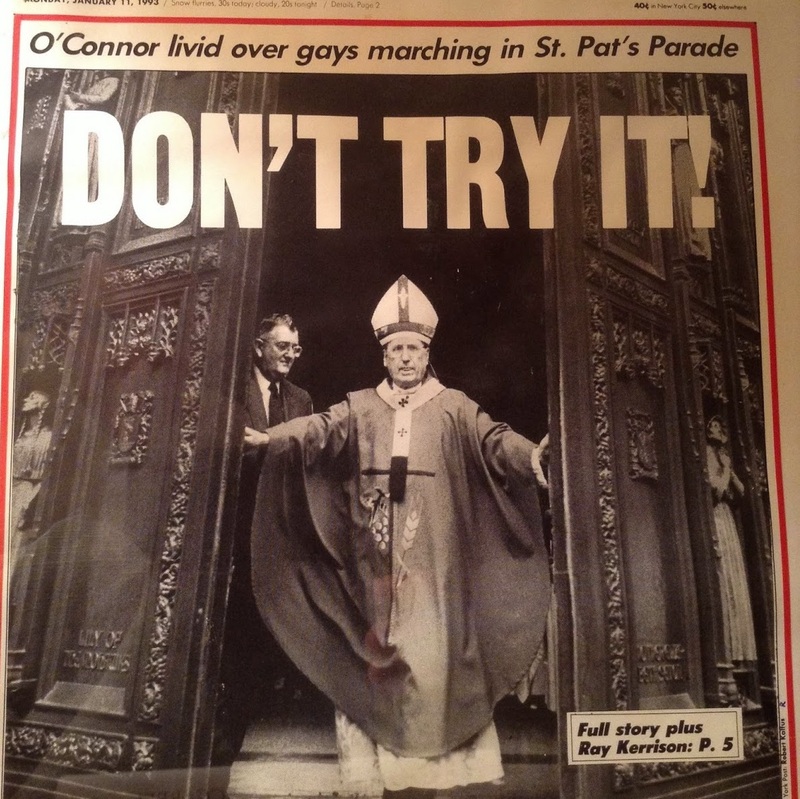 There was a day when the very approach of a threatening stranger to the altar would have been greeted with a rush of angry Catholics eager to defend the bishop. To lay hands on the bishop himself or any sacred item in the Church would have been to risk one's life. Three hundred years ago, if this would have happened, the bishop would have had to forcibly restrain his flock from lynching the assailant from the nearest tree. Catholics used to take physical attacks on their faith very seriously. In 1099, the event that finally gave the Crusading army the impetus to storm Jerusalem was the rage caused by seeing the Muslim defenders of the city desecrating crosses upon its walls. This insult was too much for the Franco-Norman army to endure, and their subsequent berserker assault upon the walls led to its downdall. In 1131, the iconoclastic heretic Peter of Bruis was burning crosses in a gigantic bonfire near St. Gilles in France. At the site of the Lord's cross being profaned, the locals were so incensed that they picked up Peter and tossed him into his own bonfire. And that was the end of that. In 1844, when anti-Catholic "Know Nothings" went on a riot in New York City and threatened to burn down the city's Catholic Churches, Archbishop John Hughes hastily assembled a mob of rugged Irish-Catholic laymen armed with bats, chains, and all sorts of maiming instruments and had them stand shoulder to shoulder around St. Patrick Cathedral (these are the sorts of fellows that we would say "had balls" in modern parlance). Then he threatened the Mayor of New York that if one single Catholic Church was burned he would turn the city into another Moscow - a reference to how the Russians burned Moscow rather than let it fall into the hands of Napoleon's army. 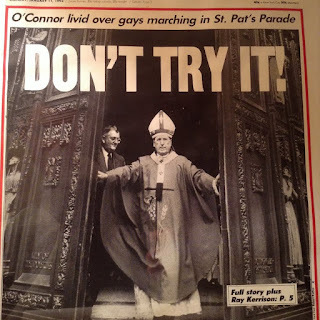 I know Cardinal John O'Connor of New York was not always the best exemplar of a traditional Catholic bishop, but I will never forget his bold stand against the homosexual lobby when the latter insisted on representation at the St. Patrick's Day parade; what a contrast to Cardinal Dolan's jovial collaboration with the gay lobby and Bishop Barron's sad acquiescence to the new norm. Old timey Catholicism was not afraid to flex its muscles when threatened with blatant thuggery. Vandalizing a church or punching a cleric was likely to get you whacked in the skull with a board or taken out behind the church and roughed up by a group of half-sober Irishmen with big faith and bigger fists. But now white-haired Q-tips stand in place and scream. I am not saying the people who witnessed the attack are blameworthy; in the moment of confusion, you don't know if the assailant has a gun or what. Good thing he didn't though, because this congregation would have been useless. But I do think this scene of parishioners standing there helplessly yelling while the successor of the Apostles is assaulted at the altar is an apt symbol for the current impotence of the west.